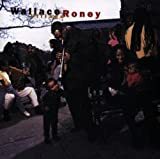 Wallace Roney (born May 25, 1960, Philadelphia) is an American jazz (hard bop and post-bop) trumpeter. Roney took lessons from Clark Terry and Dizzy Gillespie and studied with Miles Davis from 1985 until the latter's death in 1991. 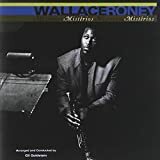 Wallace credits Davis as having helped to challenge and shape his creative approach to life as well as being his music instructor, mentor, and friend; he was the only trumpet player Davis personally mentored.